For centuries scientists have been making new and exciting scientific discoveries that have shaped our world and made what was once considered impossible, possible. According to recent reports, science has once again achieved such a feat, and may have at last found the answer to something that for a long time appeared beyond our reach; namely the ability to breath underwater. The ability to breath underwater has both fascinated and eluded mankind for centuries. However, scientists have discovered a revolutionary new breakthrough that may one day allow us to do something man has never achieved before: breathe underwater. According to The Independent, scientists have developed a new crystalline substance capable of absorbing a massive amount of oxygen. Remarkably, a mere bucketful of this amazing substance is capable of absorbing all the oxygen from a room. Furthermore, a key advantage of the crystal is that it doesn’t lose its capabilities over time, and can absorb and release oxygen many times without losing this ability. 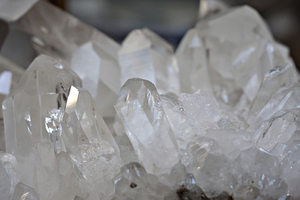 The revolutionary crystal was developed by a team of researchers from the University of Southern Denmark, following a number of years of intensive research. The key to the compound’s ground-breaking abilities is that it contains the element cobalt, bound in a specially-designed organic molecule. It’s this cobalt that gives this new material exactly the right molecular and electronic structure that enables it to absorb oxygen. Interestingly, this same mechanism is also commonly found in a number of other organisms. For example, whilst humans and numerous other animals use iron to help absorb oxygen, other creatures like spiders use copper. The air surrounding us is typically comprised of 21% oxygen and this is fine for our requirements. However, there are a number of instances in which we sometimes need access to oxygen in higher concentrations. As result it’s thought that this new substance may have a number of interesting and exciting applications in a real world setting. It’s believed that the crystal may one day be able to help divers breathe underwater. One of the team behind the discovery, Professor Christine McKenzie, states that, thanks to the Aquaman crystal, "divers may one day be able to leave the oxygen tanks at home and instead get oxygen from this material as it "filters" and concentrates oxygen from surrounding air or water. A few grains contain enough oxygen for one breath, and as the material can absorb oxygen from the water around the diver and supply the diver with it, the diver will not need to bring more than these few grains." Significantly, unlike more traditional oxygen tanks, the crystal is capable of storing gas at a much higher concentration, making it much smaller and lighter to carry. Thanks to this amazing property, the crystal could also have a number of other applications. It’s thought that the Aquaman crystal could also prove valuable for lung cancer patients, who often have to carry around large oxygen tanks. It’s discoveries like this that demonstrates the true potential of science to make a real difference to our lives, and showing the importance of scientific research in our society. Here at Edulab we have an amazing selection of science equipment to meet your requirements, so you can attempt some groundbreaking scientific research of your own. For more information about our range of products and services please don’t hesitate to contact us on 01366 385777 and one our friendly team will be happy to help you with your enquiries.